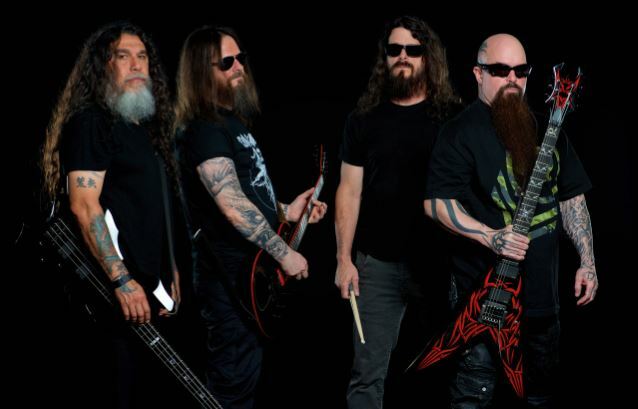 One of the big four in the original US thrash movement, Slayer have endured numerous drummer changes (Paul Bostaph back for his third go around) and face the prospect of life without one of its founders, guitarist Jeff Hanneman, who passed away in 2013. Enter the first studio outing with Exodus guitarist Gary Holt, as Repentless is the first studio album in 6 years – with expectations ranging from killer to ‘same old, same old Slayer’ depending on how much the band factors into your preferred musical framework. After an instrumental intro in “Delusions of Saviour” that could feel comfortable during Metallica’s …And Justice For All period, the title track roars from an up-tempo thrash stance – Tom Araya pacing his quick verbal abilities against the King/Holt riff swarm. By the fourth track “Vices” the momentum shifts into more of a mid-tempo chugging/tribal arrangement that wouldn’t be out of place for Machine Head or possibly early Soulfly, with one of my favorite lines uttered by Araya ‘a little violence is the ultimate drug’ punctuating the airspace. Occasional nods to classic Slayer come up in nuances of “Piano Wire” or “Implode”, but overall you just get this lagging feeling in the back of your mind that Kerry’s insistence on writing a majority of this material severely effects the ultimate impact of this material. 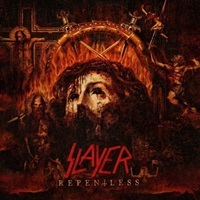 Is it wrong of me as a lifelong Slayer fan who worships classics like Reign in Blood, South of Heaven, and Seasons in the Abyss to want the band to dig deeper into their creative well and unleash something mesmerizing? 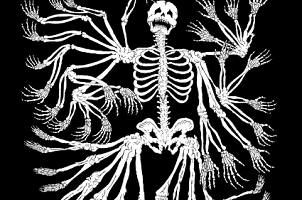 If contemporaries like Anthrax, Death Angel, and Testament can do so through their latest albums, why can’t they? Mediocre Slayer may be better than a lot of upstarts in the thrash movement, but I feel that the band could use a little adrenaline injection and think about the skills at Holt’s fingers when it comes to the next record. Repentless is a 12 track, 41 minute record that seeps into the brain quickly, yet seeps out just as easily because of its lack of full-on excitement.